Apple CEO Tim Cook on Tuesday announced that the company would join two French billionaires and the energy company Total in donating money to help rebuild the cathedral of Notre Dame after Monday’s devastating fire. While Cook framed the decision as contributing to efforts to restore France’s “heritage for future generations”, we wonder if his Silicon Valley peers will see it the same way. After all, the Catholic Church, which owns Notre Dame, has a well-documented history of homophobia and covering up sexual abuse by priests – two issues that are anathema to Bay Area techies. Apple didn’t respond to requests for comment about Cook’s announcement. 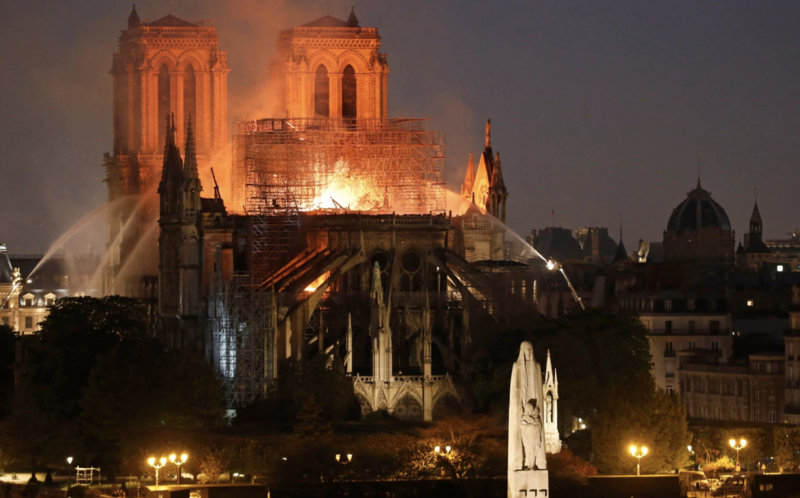 But in unrelated news, as the French business elite rallies to save the cathedral, a video has circulated purporting to show two gilets-jaune protesters walking along one of the cathedral’s two towers shortly before the blaze began. Could Apple’s decision to donate to the cathedral turn Apple into the next Chick Fil-A? Or is the risk worth it, because perhaps Cook and the other billionaires will request shiny new luxury goods stores be installed in the cathedral as part of the renovations?